Explain what is meant by diversity and inclusion. Explain the societal and business value of having a diverse workforce. Thank you for choosing to complete the Cultivate Equality at Work trail and taking a step on the path to furthering Equality for All. At Salesforce, we believe the business of business is to make the world a better place and that companies can be powerful platforms for social change. We also believe that it is our higher purpose to create a world where everyone has equal rights, equal pay, equal access to education, and equal opportunities to succeed. We are working together with our entire community—customers, partners, employees, industry, and so on—to build a path forward. There are many steps on this journey, and we recognize that we do not have all the answers; however, we wanted to share with you what we have learned along the way. In this trail we share research on the impact of Equality on your bottom line and your culture, what unconscious bias means and how it widens Equality gaps, how to champion Equality at work, and what it takes to be an Equality ally in the workplace. More and more business leaders are seeing that cultivating Equality is not just the right thing to do, but also the smart thing. 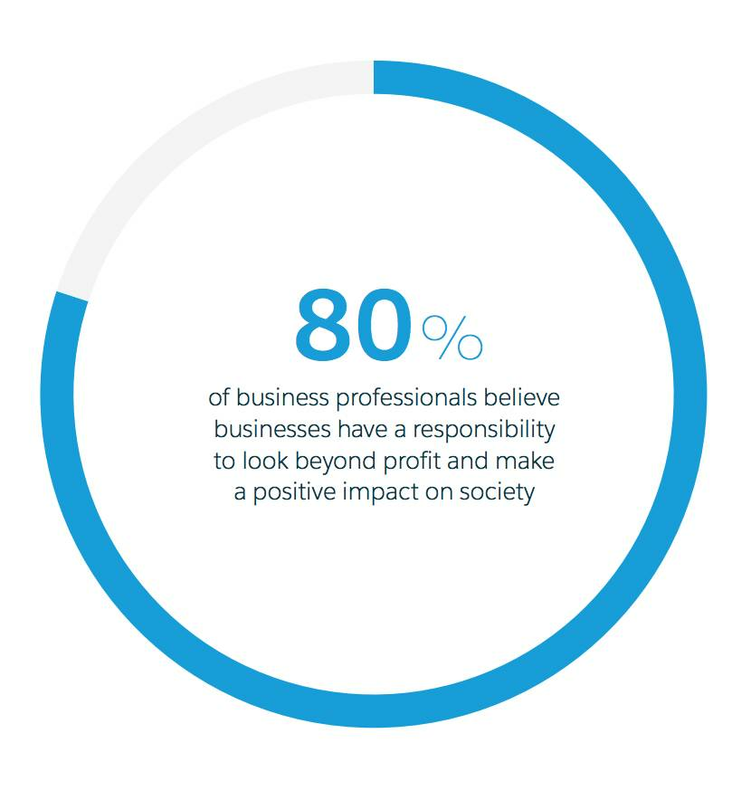 Data shows that customers and employees expect companies to drive Equality and that it has a tangible impact on the bottom line Salesforce research surveyed over 1,500 business professionals and found that 80% believe that companies have a responsibility to go beyond profit to make an impact on society. Diversity alone doesn’t move your entire business forward—inclusion is an integral part. Even if a room is vastly diverse, if those unique perspectives aren’t being heard and if those people do not feel a sense of belonging, the impact is lost. Our Chief Equality Officer, Tony Prophet, describes Equality as diversity plus inclusion. But before we go any further, let’s take a moment to review some definitions. As you begin to have brave and sometimes difficult conversations about Equality, language matters. Agreeing on common terms and learning the correct or thoughtful language to use in these dialogues ensures that they are effective and respectful. Diversity is the full range of ways a person can identify. When we say diversity in the workplace, we mean the idea that our companies reflect the communities we serve. Diversity has many facets including race, ethnicity, gender or gender identity, age, religious affiliation, and sexual orientation. But diversity isn’t always something we can measure or see. Diversity also includes people with differing educational backgrounds, personality types, cultural references, experiences, or physical abilities. Inclusion is when every single person in the community is valued, heard, respected, empowered, and feels a true sense of belonging. It goes beyond tolerance to actually celebrating and elevating every person in the room. Diversity fosters a more creative and innovative workforce. Businesses need to adapt to our changing nation to be competitive in the economic market. Diversity in business ownership, particularly among women of color, is key to moving our economy forward. Diversity in the workplace is necessary to create a competitive economy in a globalized world. 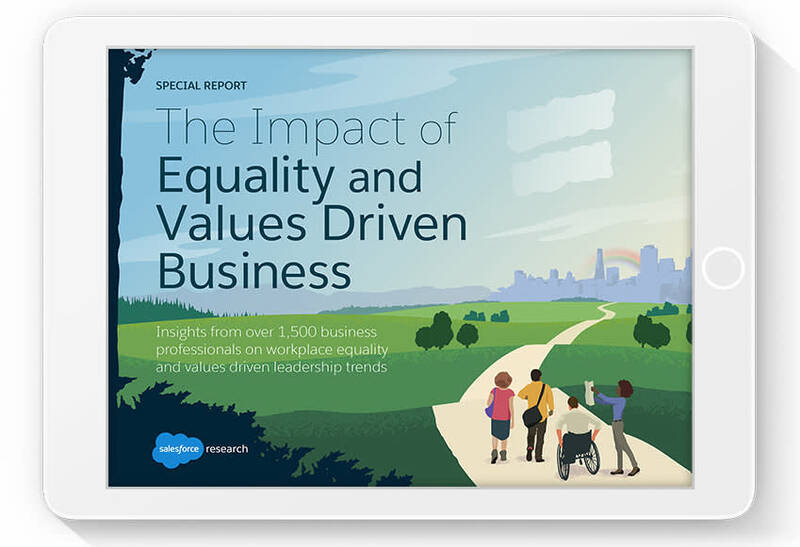 In a report by Salesforce Research, The Value of Equality and Values- Driven Business that companies that actively work to make their cultures more inclusive are better positioned to achieve strong customer loyalty as well as boost employee engagement and productivity. Employees who say they are I’m able to be my authentic self at work are nearly three times (2.8x) more likely to say they are proud to work for their company — and nearly four-times (4.4x) more likely to say they are empowered to perform their best work. Consulting firms Catalyst and McKinsey each studied the financial performance of major organizations according to the gender diversity at senior levels. Both reported that high returns on equity correlated with greater diversity. In essence, women board directors and women in senior leadership are connected with better financial performance. McKinsey also found that $12 trillion can be added to global GDP by 2025 by advancing women’s Equality. The most innovative companies of the future will understand both the societal and business value of Equality. Those that work to foster diversity and inclusion will see significant financial gains as they maximize the potential of every employee and understand the unique needs of their customers. In the next unit, we learn how Salesforce is approaching Equality to drive industry innovation and equal opportunities for all.